DoubleDragon Plaza at DD-Meridian Park is an extreme 4.75-hectare prime commercial block in the Bay Area. Catering to the expansion of thriving businesses, the project will provide ample leasable space of up to 280,000 square meters by 2020. The first phase of the project is DoubleDragon Plaza, which is an 11 storey office complex with over 130,000 square meters of leasable space. 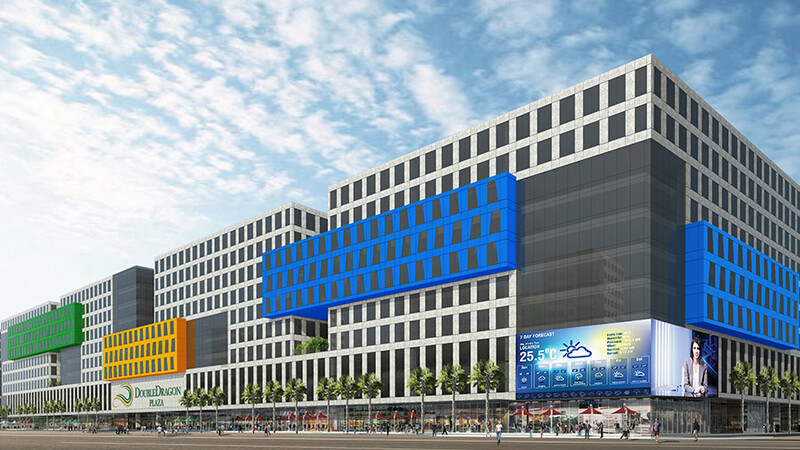 Four office towers will sit atop a retail podium each with its own private lobby and elevators providing ample privacy and ideal accessibility for its tenants. The development is now in full-swing and slated for completion by 2018. 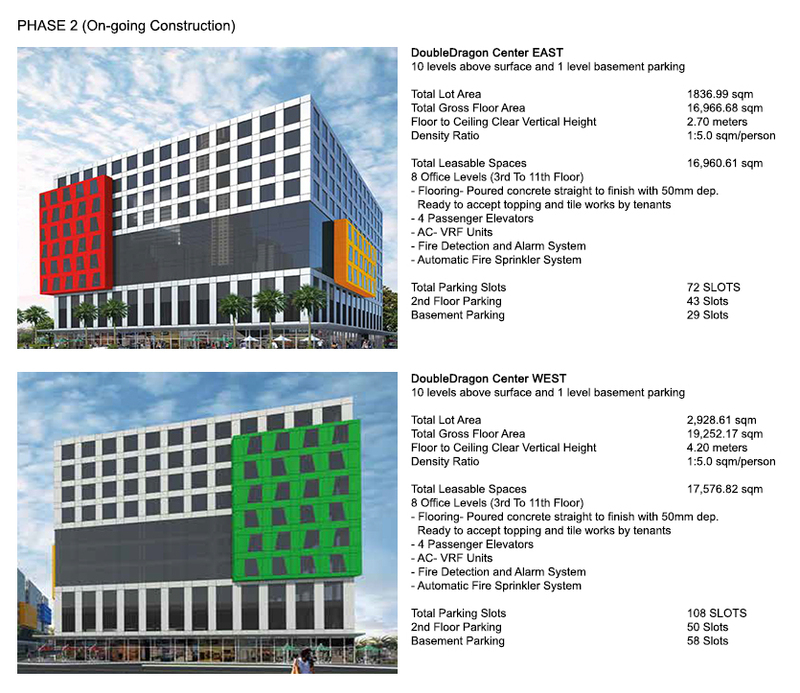 As a show of commitment to the standards it upholds, DoubleDragon Plaza is aiming for Leadership in Energy & Environmental Design (LEED) certification. LEED is a green building certification program that recognizes best-in-class building strategies and practices. The entire structure is designed to have a lasting positive impact on the occupancy while promoting renewable, clean energy. DoubleDragon Properties Corp. intends to secure PEZA- accreditation for DoubleDragon Plaza making it an ideal address for the growing BPO industry. On July 8, 2015 they had their 1st Concrete pouring ceremony attended by Mr. Edgar Sia, Ambassador Benedict Yujuico, Mr. Michael Cosiquien, Mr. Ernesto Encarnacion of CBP-1A, Mr. Jay-O Salvacion, Representatives of DD-Meridian Park Development Corp., ASYA Design, MEPFS Consultants, Megawide Construction Corporation and Design Coordinates Inc. MCC officially started their 1st day of Construction on August 7, 2015. Around the same time, TCGI was given the Notice to Proceed for the Structural Design of the Canal Cover along Roxas Boulevard. In addition to the projects development, DoubleDragon Plaza is designed as a Green Building and is working hand-on-hand with Eco Solutions on achieving their LEED (Leader in Energy & Environmental Design) Silver Certification. The complex will not only save on money and resources but will stimulate renewable clean energy that will promote a healthier environment to its tenants. As soon as the project is completed, DD Meridian Park is expected to have a total gross floor area of 33.4 hectares and generate over 1.6 billion in annual rental revenue.